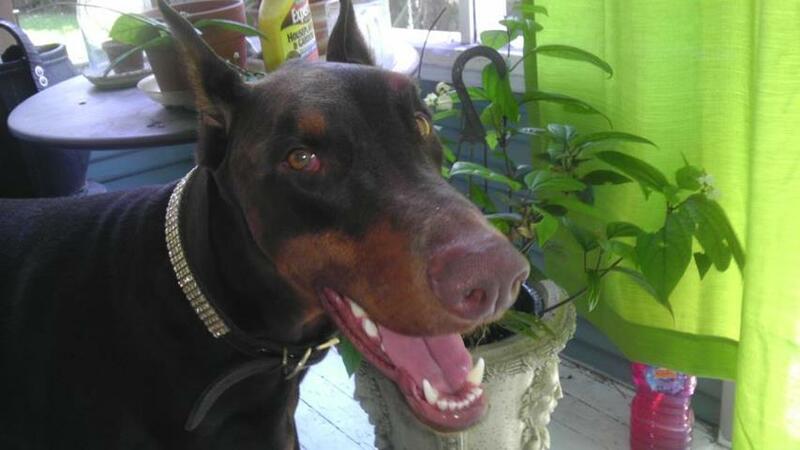 Izzy Heartworm tests negative after 5 months with Pawhealer's Heartworm Support regimen !! IT WORKED .......have been buying the heartworm products (Heartworm Tonic & Empirical Lung Qi & Heart Support) and the last test was negative. 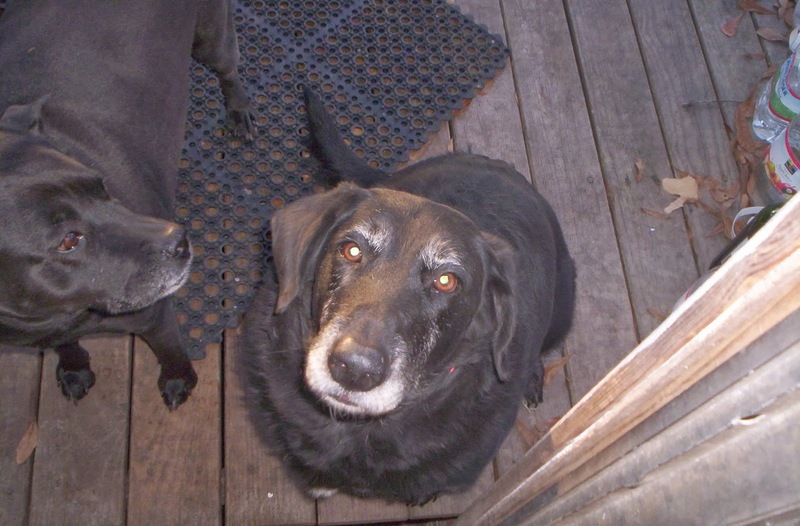 Carley's Heartworm Story using Heartworm Support from Pawhealer..NEGATIVE!! Carley is free from Heartworms! Carly was adopted from the animal shelter 4 years ago with "a bad heartworm infection". I have had her on heartworm support on a regular basis since we got her and she has recently tested negative for heartworm. I lapsed this regiment for 4 or 5 months at one point and she developed and bad cough that went away after just a few weeks of being back on this product. Thanks for David S for sharing Carley's story with us. As many of my FB friends already know, Scarlet was diagnosed with heartworms Three months ago. She almost died of a heart attack. I went to the vet today & Mrs. Radar O'Reily (SCARLET O'TARA) is negative on her heartworm test. I want to give God all the credit for this miracle because HE did it in only 3 months. HE kept telling me, off and on, what to do and I did it. I was very aggressive and it was scary. I want to give everyone this recipe that I used. Mix everything by weight of your dog which is on the bottles. Save your Dog. Don't give up! 1 bottle B-complex injectible with high concentration of B-12. (just ask for help) Give what they suggest in amount for weight of your dog or Calf. hahahahahaha! 1 bottle ivermectin injectible for your dog/calf. 1/10th cc per 10 lbs. For small dogs get insulin syringes. They are 1cc and tiny needles. For bigger dogs, 25 gauge needles. Next go to PET MART OR PET Store!You may need Tetricycline antibiotic for fish. Let vet give you your own mix measurments for weight of dog/calf. This is to clear up any possible infection as the worms start dying. Buy their Chinese herbs for HEARTWORMS: It usually takes about 6mo to clear them all totally out of your dog so they say. LOL Yea to PawHealers! I gave Scarlet every morning 1/2 tsp of Chinese hebs and second dose every evening. I gave her 1/10 cc of ivermectin plus 9/10ths cc B-12 to fill up syringe for 10 lb. little creature every 5 days. Just under the skin. Pepto Bismol for tummy as needed & vaseline if constipated. I gave her chicken baby food when she was too weak to eat and vitamins when she would eat them. In less than two weeks,, she was eating by herself. I kept supplementing water orally to keep her hydrated and urinating since dying worms dump their waste in the animal's body. I used a 3cc syringe withOUT needle. I squirted appoximately 4 full syringes a few times a day in her mouth. She started drinking water herself pretty good after about 1 1/2 months. I AM NOT A VET, SO CHECK WITH YOURS AND MAKE YOUR OWN MIND UP IF YOU WANT TO TRY THIS! PRAY FOR GOD'S GUIDENCE FOR YOUR ACTIONS BEFORE AND DURING THIS RECIPE! A recipe is not totally up to the cook. Sometimes the cook needs help with a faulty oven. Heart sounds great says her vet! This is Ms. Muffett. She appeared one afternoon--tired and hungry. Maybe she was a lost hunting dog, maybe a drop-off, because she was going into heat. Down here in Tangipahoa Louisiana, when a dog goes to the SPCA, they don't live more than two weeks if not adopted. I had to fight with my landlord to keep her, but she has been a fun addition to the pack of other rescue dogs. I have been rescuing dogs for some years and now I have my own place at my wilderness farm and two other rescue dogs. Muffet has trained them both to follow in the fields and she always lets me know when they are into mischief by howling a very special tune! She is now old (15+)but very happy since she started taking her new herbal remedies. She had heart worms when I adopted her, and I have tried to keep up with the expensive treatments for all the dogs, but the herbal remedies from Paw Healer are more effective and safe. (The vets were not optimistic about saving Ms. Muffit due to her age--and the cost was astronomical and the cure almost worse than the disease--as I discovered with one rescue dog that had the treatment and died from heart failure.) I noticed an immediate difference (three days) with the heart worm remedies from PawHealer--no more panting and tired dog! She has increased vigor and vitality. Although I cannot afford to have all my rescue dogs tested, I can tell she is now healthy and doing great. The Mind-over-Badder was effective after the third day. I noticed that I could give her a dose at night--after a good walk--and rarely would there be a problem at night. I did stop giving her the morning dose--as she seemed to do better when she could be without the herbs to urinate during the day--herbs in the morning would stop her function and cause a problem because she would not urinate during the day. I guess it depends on the dog and the schedule you need to keep. I would highly recommend these products--only wish I could afford them for all the rescue dogs--but looking forward to more prosperity in the future and ordering more of these wonderful products. I can't tell you how elated my husband and I are that Hugo is better. Hugo was a shelter dog that we adopted from the wonderful KC Pet Project here in Kansas City, Missouri. He was very sick and skinny when we adopted him, so we had to wait before we did any treatment-- traditional or alternative. As he got better, and the time came nearer to deal with his heartworms, we just did not feel right about the arsenic compound shot and confinement way. I sought out alternatives and found Paw Healer. We had blood work done on him to make sure that he was not in immediate danger, and he was not. I followed the dosage to a tee, and had him tested at the recommended time in the treatment for microphilia, which was happily negative! Our vet at the time was not understanding of our choice in treatment, and I sought out a vet that was open to alternative treatments instead of continuing a negative relationship. We had him tested today for adult worms, and all of the results were negative. I can't tell you what a relief it is to have this part of Hugo's story behind us, and to have stuck to our guns about natural treatment. Thank you so much!! Pawhealer comments: Hugo started treatment in June 8, 2013. This letter came to us Sept 24, 2103. In 3.5 months he was Heartworm Free. Usually means there was a 'low load of heartworms' when they are free in this short amount of time. Now we recommended for Hugo to continue with the Heartworm Support . But the dosage needed would be only 7 days on and 7 days of and repeat. When Winter comes Hugo would take the COLD months off and then restart on Prevention routine come Spring 2014.
Cooper Heartworm FREE after 5 months !!! Just got back from the vet with a negative Heartworm test. Vet couldn't believe it and is very curious about your product. 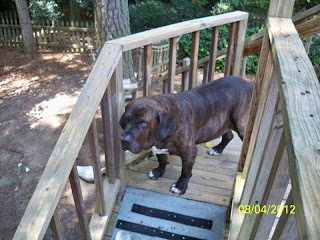 Thanks for providing another alternative for dogs with Heartworm - Cooper is grateful and so am I.
Pawhealer Comments: Happy Happy Happy! 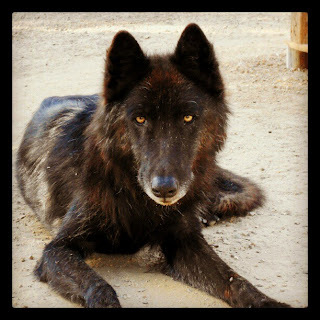 Questions About Heartworm Herbs and a Wolf! I recieved these questions from a customer and they are great questions. One of the questions was about using our herbal formula for Heartworm for prevention ...and the answer in this particular case is NO NEED TO USE IT...San Diego does not have Heartworm! I want to thank Tracy for her great questions, and I hope my answers can help other people as well. Thanks Tracy, Dutchess and Ta-Tay! Hi Holly, the person I spoke to regarding the order below was also going to have the herbalist call me and maybe that’s you. I see in the order confirm that specific questions should be directed to you so here I go. If you’re not the appropriate person, please forward this email accordingly. 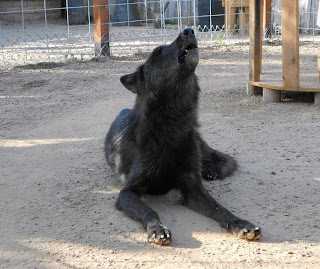 1) Once I receive the Heartworm Support, I will start treating my high content wolfdog for occult heartworm infection. We haven’t had her long and she came from mosquito/heartworm territory. She’s an exotic animal mostly wolf in the 90% range so I’m wondering if the suggested dosage is the same for her. Her weight is 85 lbs and she’s 8 years old. She has a higher tolerance to remedies and doesn’t always respond. Rescue Remedy and other herbal and natural products have been somewhat ineffective. Dosage...I would expect the same...the dosage is based on weight for both dogs and humans.. Since she has no Microfilaremia or baby/offspring heartworm present in her blood, what should be the initial dosage of Heartworm Support … the higher suggested dosage outlined below in the order confirm or the lower dosage described on the bottle? If the higher dosage, then given for how long because she already tests negative on the microfilaria test. I would think the lower dosage since there are not any symptoms...Give it to her 5 days on and take two days off a week. She has no signs or symptoms so I plan to treat her for the shorter 16 week duration and hope for a negative re-test at that point, otherwise I’ll continue treatment for the longer 24-36 weeks. Since she has a higher tolerance to natural remedies, she may need to be treated for a longer period, but obviously, I hope for full effectiveness and that she responds immediately. 2) Is it safe to give her the Heartworm Support with your other products such as the Magic Flea Herb? How about other natural supplements like Apple Cider Vinegar, garlic, Omega Oils, Glucosamine Chondroitin, MSM. She did need a Parvo & Distemper vaccination last week and a chemical topical flea & tick application that I do not plan on doing again. Is it okay to start the Heartworm Support with the vaccines and chemical in her system or do I need to wait a period of time before starting treatment? Yes you can start right away. I like the idea of using Garlic, it is traditonal remedy used world wide to fight against parasites...Also, I would be really careful how much stuff you put into that sweet wolf..all that crap adds up and ruins the immune system. Try to stay as natural as possilbe, and work on stregthening her immune system. 3) I want to make sure I understand the usage/dosage for heartworm prevention as ongoing maintenance. Is the dosage the same as for treatment based on weight but 7 days on 7 days off and repeat during a month and continuous throughout the year? I live in San Diego (Encinitas) so do you think she needs prevention year round? We are neighbors!!! You don't need any prevention, we don't have heartworm!!!! There are many articles written about this...I have 4 dogs and live in Escondido, they have never seen a flea, tick or heartorm poison! 4) Lastly, what’s the taste of the Heartworm Support? Is it bitter? I’m just trying to get an idea of whether she’ll eat it in her food or not. I think that’s it … sorry for overload! Thank you for your expertise. 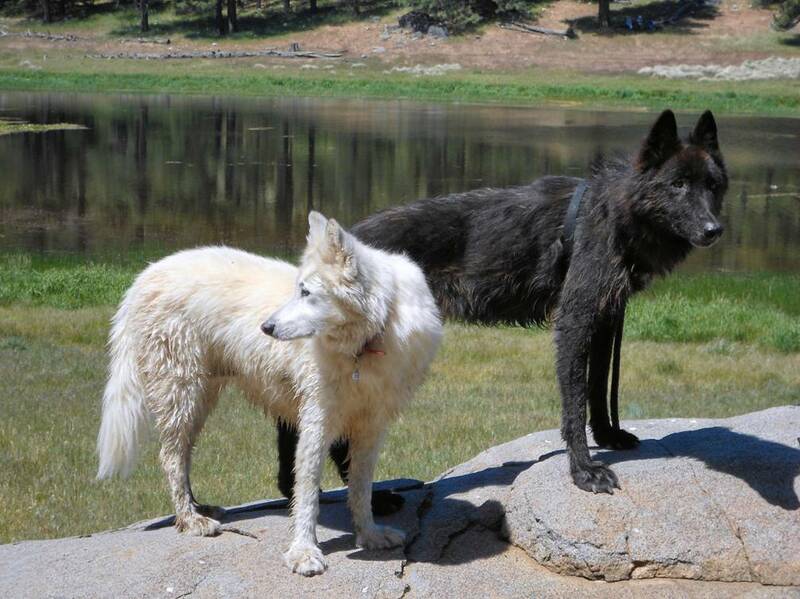 Attached are some pics of my wolf, Duchess … and her Malamute/Arctic Wolf sister, Ta-tay. Heartworm Support works again !! This time for Sir Zeus in Arizona. I just wanted to let you all know, I am very pleased with the products we got from you for Heartworms for our senior dog Sir Zeus. I had to cut him down to once a day, but only after everything improved. We thank you so much, I thought I would have to put him down, but thank you I do not. It's been great not hearing him cough and breath so hard, again thank you !!!!! Heartworm Support hellps Sassy in Florida to improve within weeks. I ordered stuff (herbs: Heartworm Support) and got it last week on the 25th of May for my 13 year old dog for heartworms, they (the Pawhealer Reps) said it would take about 30 days to even notice a difference, could it be my imagination, the dog is still gagging, but not as bad. It's not as long or as hard, is it possible for the stuff to be working in only 1 week? I will be buying more soon as I get paid as I know she needs to be on it for 24 weeks, thank you for all your help in finding the meds (herbs: Heartworm Support) my dog needs without hurting her with poisons. Pawhealer response to Tammi: Yes, this is not unusual to see a resurgence in energy return to normal activity such as eating, playing and running. And a diminishing of coughing and gagging. However, we caution do not be fooled by this improvement and take it as a sign to lower the herbs. Heartworm Support should be given full strength following recommended guidelines per weight on bottle and DO NOT lower the dose of the herbs for at least 2-3 months. Amy is Heartworm Negative using Heartworm Support !!! Heartworm Support works for heartworm prevention!! May 2012, I began using the Empirical Heartworm Support for Rhett, after the monthly product he was on, stopped being manufactured till further notice. I am always seeking less chemicals and a more natural, organic, holistic approach, wherever possible. I spoke with one of your specialist and my Alternative Vet, Trisha Ballard and gave this a go to PREVENT heartworm. 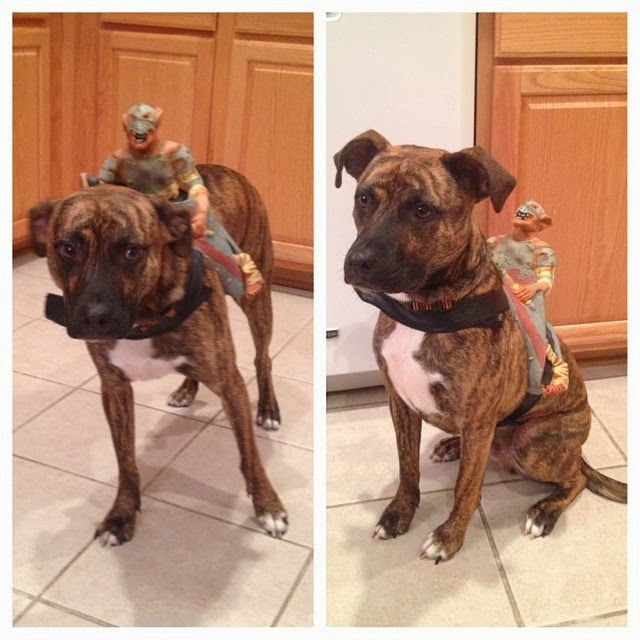 On 3/30/13, for his annual check up, Rhett tested negative to heartworm. Anyone residing in the Dallas area knows it got so bad last year, they had areal spraying (poor bees). I would strongly urge folks to consult with their alternative Vet and PawHealer to determine if Empirical Heartworm Support is a good fit for your dog. 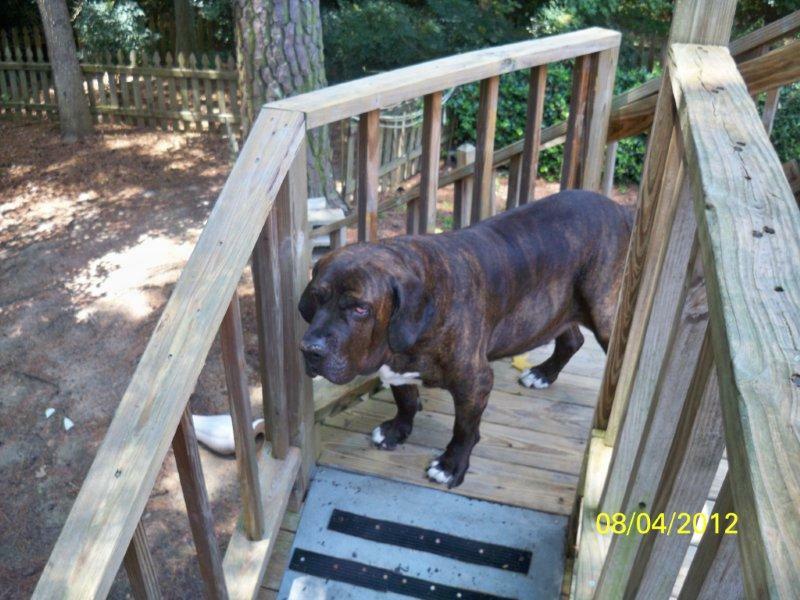 This is Pawhealer's first Heartworm Customer who was a Stage 5 infestation of Heartworms in 2008 and the Vets refused to treat him as they were afraid the medicine they had at the time would kill him. So that was when his Mama Sharon sought our help. We followed his progress for the first year and she provided data to us about his trials and tribulations with our Heartworm Support herbal treatment along with the Empirical Lung & Heart Qi Support. She was a true pioneer for her little boy Gabriel as she said she wanted to help him and was willing to try our method even though it was uncharted territory for her. We are proud to share with you 4 years later in August 2012 that he is Heartworm FREE (which was mid 2009) and now in 2012 has gained weight back and leads a normal abundant life. Kudos to his Mama for her bravery in trying our now hugely successful treatment plan. I just wanted to tell you that Gus is heart worm free. He was diagnosed last summer and started your meds in March. Thank you so much! 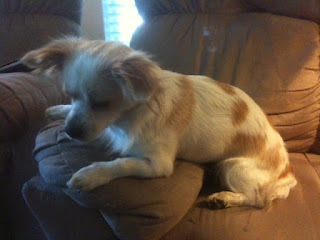 Heartworms gone in 4 months - Jessie from Texas - what's up partner? I just wanted to Thank Pawhealer for their wonderful herbs for heartworms. 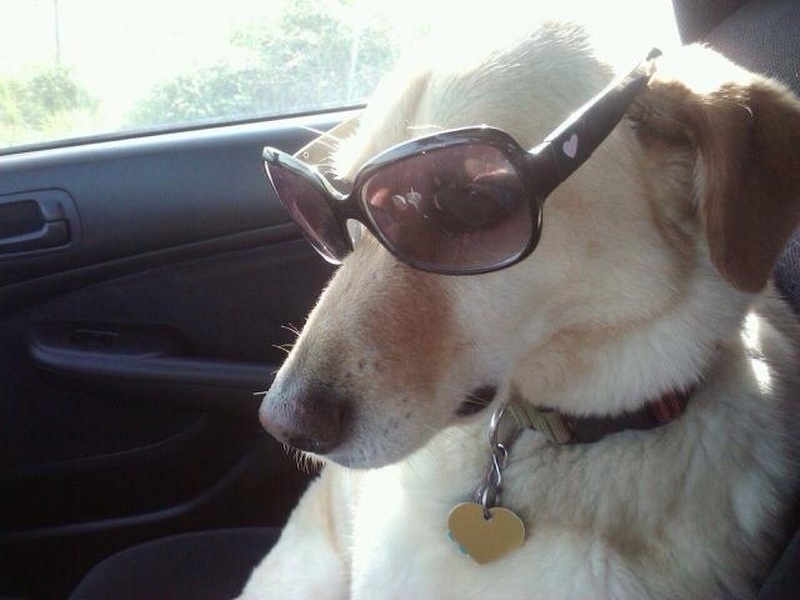 My dog Daisey was diagnosed with heartworms around November of last year. The worms were not in her blood. I immediately got in the Internet trying to find an herbal solution to the problem and I found you. I gave her the herbs for heartworms for about 4 months. I took her to the vet for a checkup in February the worms were gone! No heartworms!!! Thank you for the good work! You will have my sincere gratitude forever! Microfilaria gone in 45 days !! 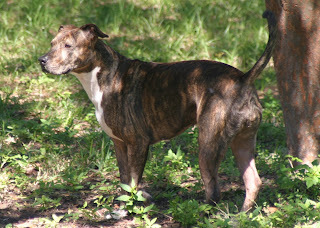 Heartworm in Sasha from Michigan - go baby go!! 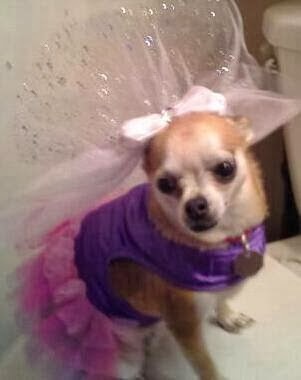 Around June of 2011 My little dog Jade became real sick. She wouldn't eat and she kept coughing and throwing up and having a hard time breathing. I took her to my vet. and she did lots of lab work. The test showed that she had Heart Worms. I read about the Chinese Herbal Formula Heartworm Support. I thought I would try it because I was desperate for something to help get rid of the heartworms. The treatment the Vet suggested that they use for heartworms is very expensive and it could end up killing her. So as a last resort I ordered Heartworm Support in October of 2011 and have been giving it to her since then. 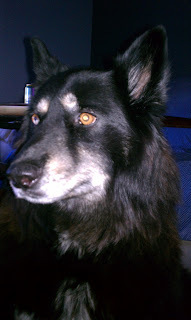 On Feb. 28,2012 I took Jade and my other dog for their yearly shots. The Vet called me and asked me what I had done to her, that she looked great and she tested Negative for heartworms. I told her what I had ordered and she ask me to bring them in so she could see what I had been giving her. I told her it works. Thank you so much for this product. My precious Jade is doing so good and will not die with heartworms. HEARTWORM SUPPORT WORKS AGAIN!! - You go Susie Q !! Mark, 3 years ago I was told my dog Susie had Heart Worms. She was given 12 months to live. The worms were so bad our Vet said treatment would kill her. She was, I consider a young dog only 8 years old. I decided to go on line and search for other ways to treat the worms, thats when I found Pawhealer. I talked with you about my problem and felt comfortable about trying out your Herb Treatment. The herbs you sent were to kill the worms and help with her lung problem, she was having trouble breathing. I am happy to tell you she is about to turn 11 years old and is doing very well. I want to tell the people all around the World about your wonderful product, by the way I am starting my 3 year old Tina on your Bladder Stone formula. I have faith in your product and look foward to having her around for a long time. If your Vet gives you a death sentence on you Pet, don't give up CALL PAWHEALER. Herbal Success For Eliminating Heartworms...YAY!! A customer sent us this note: And Quiana is now wanting to use herbs for joint support. You have to love the results of Pawhealer Heartworm Support herbal formula! Lucky the PitBull: No More Nasty Heartworms!!!! Wanted to let you know you have another success story! As you know, we had our Pitbull, Lucky on your herbal Heartworm treatment. He was tested today and is now Heartworm Negative!! Thank you for your wonderful product! He has never been sick one day while on your herbs. He is a very fit young man, and happy! Thank you again! I am telling everyone about you!